This recipe is from A Baker’s Field Guide to Cupcakes. 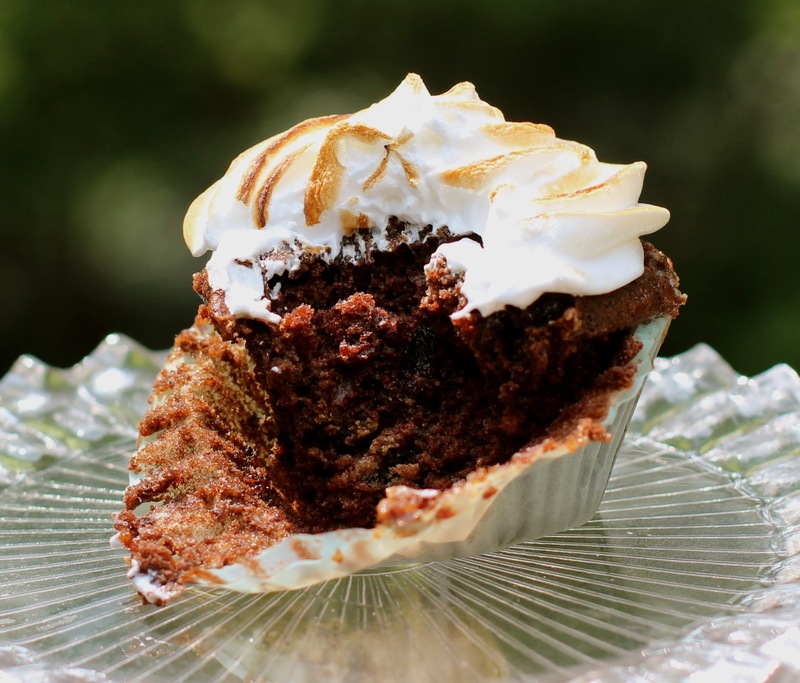 You will find the recipe for Chocolate Cupcakes and Fluffy Meringue Frosting in the BASIC RECIPES section. Description: What do you get when you combine chocolate cake, chocolate covered graham crackers and marshmallows? 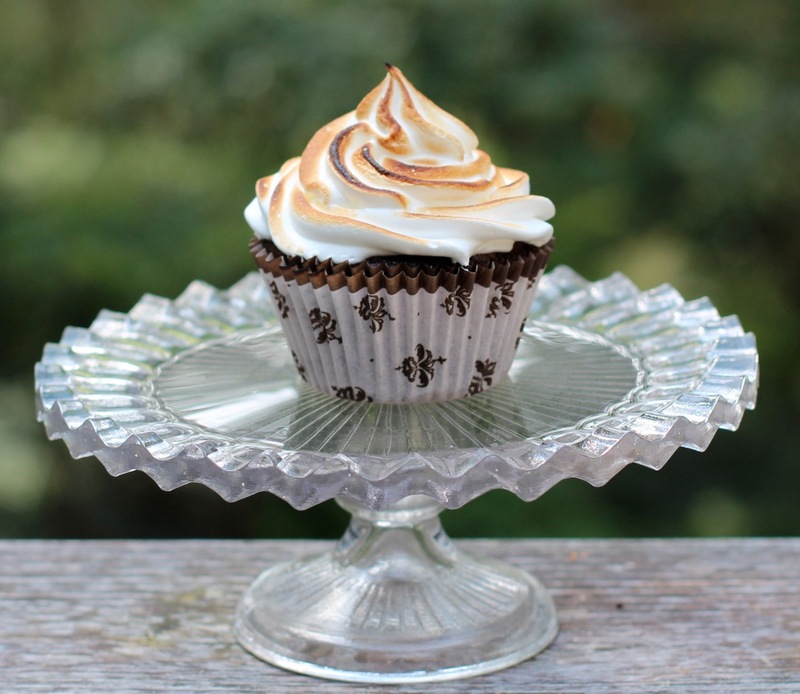 S’more cupcakes, of course. They are finished off with a swirl of browned Fluffy Meringue Frosting, which mimics toasted marshmallow. Field Notes: S’mores are most often made over the campfire during summer vacation. With these you don’t need a fire, but you do need a broiler or a propane torch in order to cook the marshmallow-like frosting. These are very sweet and will most likely appeal to the younger set. Have available two 12-cup cupcake tins. Place paper liners in 22 wells. Prepare Chocolate Cupcakes batter as directed through step #3. Fold in chopped graham crackers and marshmallows. Divide batter evenly among 22 paper liners. Bake as directed. Cool. Prepare Fluffy Meringue Frosting. Using pastry bag and tip, make a large, swirl on top of each cone as in photograph. Cupcakes may be made up to this point early in the day of serving. Right before serving, run under a hot broiler just until meringue becomes tinged with color. Alternately, you may use a propane torch and simple wave it back and forth over the cupcakes. Cupcakes are now ready to serve. Lifespan: Cupcakes may be baked two days ahead; frosted cupcakes are best served the same day. Store in airtight container.